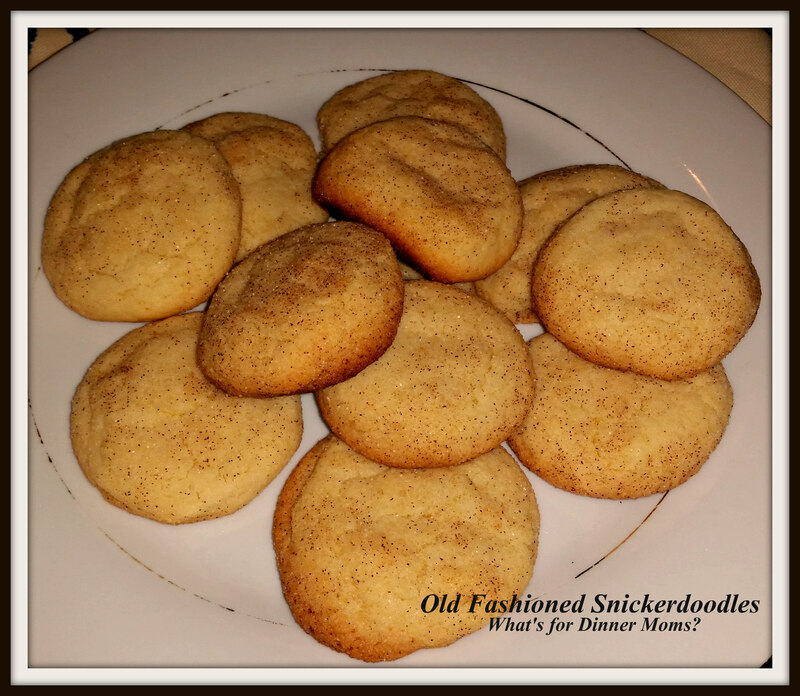 Old Fashioned Snickerdoodles – What's for Dinner Moms? I am not much of a baker at all. I love Christmas cookies and an occassional cake but it is the rest of my family who will make cookies or pies if they really want a treat. My partner has been wanting to make these cookies for about 20 years now. We never seemed to have cream of tartar in the house and when I remembered to buy it she never got around to making the cookies. These are something she remembers from childhood and when we see them in the bakery she will usually pick one up. But, she has always wanted to make them. Well, the stars aligned the other night. We had cream of tartar AND she had time to make them. She did a bit of research first to find an old-fashioned recipe like she remembered from childhood. She found out that using vanilla extract is a recent addition to the cookies so she took that out. She also found out cream of tartar was for leavening not for flavor like she thought. Lots to learn. We love warm cookies and milk. It smelled heavenly with the cinnamon and sugar topping. I am re-reading Harry Potter and the Goblet of Fire with the kids right now so it was so nice to have the warm cookies and cold milk as we read. I think there were a few cookies left for lunches the next day. This recipe is based on a Better Homes and Garden recipe for Snickerdoodles with out the vanilla extract to make them more like the old-time cookies. In a bowl cream butter and sugar together with a blender. Mix in baking soda and cream of tartar until well blended. Add flour by stirring by hand if needed once it starts to stiffen. Mix well. Make the topping mix by stirring together the sugar and cinnamon. Form cold dough into 1″ balls. Roll balls in the cinnamon and sugar. Place 2″ apart on cookie sheet (cookies will spread while cooking). Bake 10 minutes until golden brown on edges. Immediately remove cookies from pan to cool. Next Post How are Your New Year Goals Going? Determination! You could try it. I have never done it. The cookies will be thinner and crisper than these. The egg adds a bit of moisture and helps it stay together better. Let me know how it goes of you do. Thanks. I will soon try it. Great! Not a cookie I had ever really tasted before. I liked them. We made this same recipe for my oldest daughter’s math project. She had to take a recipe, triple it and then bring the completed recipe in. She chose Snickerdoodles. We loved it at home (got to eat her leftovers) and her classmates/teacher loved them too. How very cool! My kids always loved math lessons with food. So great for teaching fractions, addition, and subtraction! I thought it was and I agree. If I remember correctly, he was using this lesson to teach the kids how to double and triple fractions. She really enjoyed it and it sparked an interest in cooking. These cookies sound delicious, Marci. Thank you. They are a childhood favorite of my partner. I thought they were very good. Never had those. Sounds very easy! Thank you! They are a light flavored cookie with a nice cinnamon sugar coating. Thank you! I actually liked them. I only had them like once before. 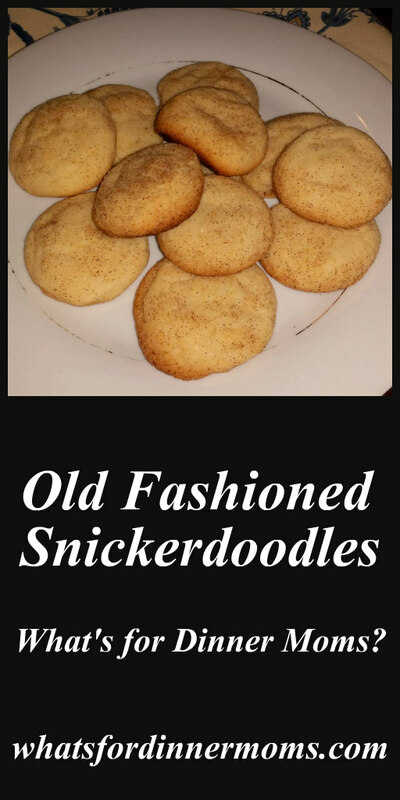 I grew up with snickerdoodles, my aunt used to make them! I really like them and they are different. Reblogged this on Life Can Get Messy. Beautiful cookies, love to try them !! Yum! Snickerdoodles are one of my favorites! That is so funny! So many people have said that and they were just not a big thing where I grew up. I thought they were very good but just not something I am used to. These are some of my favorite cookies and I have never made them myself..thanks for sharing your recipe! They look great I will try this recipe!